Carefully selected fonts can elevate a design from ‘meh’ to ‘wow!’. You’ll need a large collection of serif, sans-serif, and script fonts for web and graphic design. Typekit is Adobe’s font hosting service. You get free access if you have a Creative Cloud account. Otherwise prices start at $24.99/year. The default selection is impressive and includes favorites such as Proxima Nova, though you can buy additional variants for a fixed fee. Adobe support means that your Typekit fonts also plug-in easily into Photoshop. MyFonts calls itself the world’s “largest collection of professional fonts” with over 130,000 fonts in its library. You can buy and sell fonts, and even host them yourself with MyFonts’ self-hosted service (WebFonts). The good part about MyFonts is that once you’ve bought a font upfront, you don’t need to pay any monthly fee to host it. Like MyFonts, Fonts.com is a large library of free and paid fonts. You can buy fonts and use them in any project. For using the fonts on your website, you can use Fonts.com’s monotype library subscription. This will give you access to 2,200 font families for $9.99/month. You can’t really miss Google Fonts when it comes to typography resources. With over 880 font families, this massive free resource is one of the most popular online font services. It includes favorites such as Open Sans, Lato, and Roboto. Plus, all the fonts are hosted on Google’s servers so you get faster download speeds. The only downside is that since Google Fonts are so popular, it can be hard to stand out. TypeNetwork is a curated selection of fonts from some of the world’s top font designers. It has a much smaller selection than Fonts.com or MyFonts, but the quality is substantially higher. You can search for fonts by their designers or by their families. You can either host the font yourself or pay a monthly fee for TypeNetwork hosted web fonts. Typography.com is operated by Hoefler & Co., one of the top font foundries in the world. It includes all of their top fonts as well as different tools to bring fonts to different applications (such as office.typography for MS Office and cloud.typography for web fonts). The fonts are expensive but you can’t argue against their quality. Need a font but don’t want to fork out the money for it? Then DaFont is for you. This is where thousands of font designers make their fonts available for free. You’ll have to host the font yourself – which can be a challenge – but if you need quirky new fonts for desktop applications, this is a great free resource. Another massive library of fonts like Fonts.com and MyFonts. Often has exclusive deals with foundries for hard-to-find fonts. Plus, you can sell your fonts on it as well. There are few things more ubiquitous in modern web design than the humble icon. A good icon can add visual interest to a dull text-only design. It can also improve usability by helping people understand a page’s elements without reading the text. Here are a few websites to find free and paid icons for your next project. The Noun Project is arguably the largest collection of icons in the world. It has an exhaustive selection of icons covering virtually any object (i.e. ‘noun’) you can imagine. It also has plugins to bring icons straight into Photoshop, Illustrator, etc. The best part is that you can either buy an icon, or use it for free by giving attribution to the creator. IconFinder is another massive library of icons like The Noun Project. Search for icons by keywords or browse their curated selections. While most icons are paid, there are quite a few free offerings as well. FlatIcon is exactly what it sounds like: a website to find flat icons. Skip this site if you’re looking for 3D or skeuomorphic icons; everything here fits into flat design philosophy. There are free as well as paid options to choose from. Designing for Android and need something that adheres to Google’s Material Design guidelines? Then look no further than Google’s own icon library. Covering nearly 900 icons, this is the perfect resource for an Android designer. Even if you decide not to use these icons, we recommend browsing through this site to get a better idea of Google’s design standards. IconStore hosts a large collection of high-quality icons made by some of the world’s finest icon designers. The curated selection is uniformly good – a mighty feat considering it is completely free. Finding icons is relatively easy, but managing your library can be a challenge. This is where Nucleo steps in. Nucleo is both an icon library and an icon management tool. Use it to collect your icons in one place and customize their size and color in minutes. Great for designers and teams who work with a lot of icons. Need a round icon for your project? Sick of flat design and need something with more character? Then look no further than RoundIcons. This paid resource has 37,000 round icons in a variety of colors and gradients. The quality is uniformly high and the prices are more than reasonable. If you’ve ever heard of Bootstrap (who hasn’t? ), then you’ve likely also heard of FontAwesome. This massive collection of free icons works wonderfully well with Bootstrap since they’re all made from CSS. The icons are easy to use and even easier to customize for online projects. And the designers keep adding new icons to the collection every month. Need no-fuss, no-frills icons for simple objects? Then look no further than IconMonstr. Unlike a lot of other resources on this list, the icons here are neither complex nor colorful. But they cover most common objects and are available in a range of sizes, making it a great free resource for designers. SVG has quickly become the default format for icons thanks to small size and easy customizability. This resource by Sparkk has 10 sets of free icons made available by leading designers. You can use them right away in your projects by using the ready-to-use code provided on the site. CreativeMarket is one of the largest design resources online, so it’s not surprising that it also has a huge list of icons. Most icons are paid but high-quality. CreativeMarket also makes a select icon packs available to download for free each month. Color is the language of good design. The color palette you choose affects everything from a site’s “mood” to its brand. Picular describes itself as a “Google for colors”. It works the same way as well: enter a keyword (such as ‘beach’) and Picular will pull up colors associated with it. Use this tool to pick colors associated with a certain theme or object. Need to generate an entire color palette at the click of a button? Then Coolors is just the site for you. This tool will create a random 5-color palette. Play around with the settings to get the perfect palette for your site. This free tool by Google will help you pick a color palette that adheres to Material Design standards. Choose from a range of pre-selected colors to create your light/dark/standard color combinations. Works great if you’re prototyping apps for Android. Using Bootstrap (or other prototyping frameworks) and need a ready list of placeholder colors? Then this is the perfect tool for you. Clrs.cc is a tiny library of 16 default colors that you can quickly use while prototyping. Saves time and looks good. Palettable is an interactive color palette tool that walks you through the entire color selection process. It will show you a single color first and ask you whether you like it or not. If you do, it will show you a related color, asking for your preferences again. And so on until you have an entire palette of colors that go well together. Works just like Coolors, except it gives you way more control. There comes a point in every designer’s career when their selection of colors becomes too large and unmanagement. If you’re in such a situation, you’ll love the Sip app for Mac. This app helps you select and manage colors from a single platform. Use it to select multiple colors from pictures in one go, create palettes, and export colors for quick use in your designs. All priced at just $9.99. Want to make an entire color palette from a single picture? Then this little tool will come in handy. Just upload a picture and watch it create a palette of up to five colors from it. Adobe Color CC, formerly called ‘Kuler’, is a tool to create color palettes. You can pick a set of base colors and create entire palettes based on different color harmonies (‘analogous’, ‘monochromatic’, etc.). If you’d rather pick something created by others, there is an ‘Explore’ option as well to find popular palettes made by other designers. There are few companies in the world that have as big an influence on global fashion as Pantone. The colors Pantone picks for its semi-annual selection often decides the fashion colors of the season. While its offerings are targeted towards the fashion industry, designers should keep an eye on Pantone’s website to know what’s in, what’s not. One of the great joys of being a designer is watching your ideas come to life. But before you can take an idea from conception to production, you have to make a wireframe and eventually, a prototype. Proto.io is a prototyping tool that will help you create prototypes that look and feel just like your final app. The best part? You don’t have to write a single line of code to create this virtual app. You can even collect feedback on the prototype right in the app itself. InVision is like Proto, except that it’s even more powerful. You can use it to create detailed prototypes of your final apps, including testing them with real users. Supports features like navigation workflows, element libraries, wireframing, and collaboration tools. While software is nice, nothing beats the speed and convenience of paper. But sketching out UI elements on paper by hand is neither convenient nor pretty. This is where UIStencils.com helps. These are stencils for common UI elements like buttons, icons, etc. Use them on paper to create user-interfaces that don’t just look good, but are also accurate in size. Sketch has quickly emerged as the go-to tool for wireframing and prototyping among designers. Unlike Photoshop, it was built from the ground-up for mobile-first prototyping. The end result is a smooth workflow and features that make prototyping as easy as dragging-and-dropping a few elements. If you think Photoshop is too bloated for prototyping, try switching to Adobe Experience Design. Built as a Sketch competitor, Adobe XD helps you create detailed prototypes and experiences for both web and mobile. You can create designs that look just like the final product, share them with others, and gather feedback in one place. Many prototyping tools fail because they don’t support the complex workflows and logic that real apps and websites have. Atomic solves this problem by focusing more on the interactive side of design than the visual aspects. Pair it up with a design tool for prototypes that not only look good but also work well. Figma calls itself an “everything in one place” app. You can design, prototype, and collect feedback all within the app itself. Figma has an “engineer-friendly” feature that makes it possible for engineers to inspect and copy CSS, Android, and iOS code to quickly take ideas live. Marvel puts wireframing, prototyping, and collaboration features into a single platform. Use it to take an idea from conception to development. The wireframing tool lets you create mockups, which you can turn into full-fledged prototypes. You can collect feedback and comments right from within the app. And when you’re done, you can easily hand it over to your developers. Interaction and motion design are two new frontiers for designers. Principle helps you tame this frontier with its animation-focused prototyping tools. Use it to create animations and map out interactions across web and mobile. The only negative is that it’s available only for Mac. Like Marvel, Framer is also an “all-in-one” tool to create and collaborate on wireframes and prototypes from a single platform. You can also add gestures, animations and interactions to your prototypes. Like Principle, Framer is available for Mac only. Macaw is an evolved image editor. Instead of simply editing images, it will also create HTML and CSS to take your sites live. If you’ve got a design that’s waiting for a developer, Macaw is the perfect alternative. Like Macaw, WebFlow is a powerful tool for taking your designs “live”. You can create and edit designs just as you would in Photoshop. WebFlow will automatically create the required HTML and CSS code to turn your idea into a live web page. Great for designers who want simple web pages without turning to a developer. One of the most popular wireframing tools around, Balsamiq makes it easy to create detailed wireframes with its low-fidelity elements. This is great for sketching out workflows, structure, and usability. It’s easy enough that even non-designers and developers can use it. From brushes and illustrations to textures and mockups, you’ll need a range of graphical elements to do you job. Fortunately, there is an abundance of stock graphics online, both paid and free. CreativeMarket is a marketplace that lets designers sell their own graphical elements. It covers a huge range of elements, including brushes, patterns, objects, web elements, textures, templates and themes. The quality is generally good and the prices are more than reasonable. If you can’t find it on CreativeMarket, you can probably find it on GraphicRiver. Operated by Envato (CodeCanyon, ThemeForest), this is one of the largest stock graphics libraries online. There is little you can’t find here, though the quality isn’t always uniform. RetroSupply is a hub for retro-themed stock graphics. Discover fonts, brushes, templates and textures to create retro-styled images. Most of the content is free, though there is also a strong selection of freebies. Unlike the other stock graphics resources on this list, YouWorkForThem curates its collection heavily. The result is a graphics library that is more expensive but also highly selective with designs by top-tier designers. FreePik is a large library of stock graphics, illustrations, vectors, brushes, and fonts. While the quality of the free resources is all over the place, FreePik’s self-created offerings are uniformly great. A good alternative to CreativeMarket and GraphicRiver. Need vector graphics but don’t want to pay for them? Then Stockio is for you. This platform has a small but growing collection of free vectors from a huge range of designers. As with most free resources, the quality isn’t consistent, but you are free to use them as you want, provided you give proper attribution. StoryBlocks’ curated selection of stock images, vectors, illustrations, and videos is consistently good in quality with reasonable prices. Choose this design resource if you want ready to use graphics without searching too much for them. Vexels doesn’t just give you access to a wide range of vectors, graphics, brushes, and templates, it will also let you edit them online on its platform. Instead of paying for each graphic pack, you can get access to all the graphics with a flat monthly fee. The British Library made its massive collection of illustrations, paintings, and sketches available online on Flickr. There is no copyright on most of these images so you can do whatever you want with them. Even if you don’t use them, this is a great resource to get some inspiration for your next project. iStock by Getty Images is geared towards stock photography, but also includes a strong selection of vectors and illustrations. While it’s not cheap, the quality is uniformly outstanding. Vecteezy focuses exclusively on vector graphics. Much of its selection if free to use, though there are also some high-quality premium vectors to choose from. It’s always a good idea to test your designs on a sample audience before taking them live. You gather valuable feedback and insight on how to make your designs more usable. UsabilityHub helps you test your designs on real users. You can conduct surveys, run first click tests, and offer preference tests to targeted users. There’s a free option, but you’ll have to fork up for the pro version (starting at $79/m) to get useful insights. UserTesting.com is user testing platform that helps you recruit targeted customers to run product, marketing, and design tests. You get a lot of freedom to design your own tests. It’s expensive, but one of the most comprehensive testing platforms around. TryMyUI is a “quick and dirty” user testing platform. You can create your own tests, pick a target audience, and watch videos of them interacting with your website. It’s not as comprehensive as some of the other testing platforms on this list but you get results quickly and with low costs. UserBrain.net focuses on “continuous testing”. Instead of one-off tests, you can add a URL to the testing platform, make a list of tasks, and get weekly feedback from users. Great if you’re constantly making changes to your site and need something more than one-off tests. Userlytics lets you upload your prototypes to its platform and collect audience feedback in the form of live video. You get detailed analytics reports, automated transcripts, and complete footage of user interactions. Prices start at just $49/participant. Lookback.io is a platform for moderated user-testing. Upload your prototypes, write your tests, and record footage of real users interacting with your site. You can also run unmoderated tests that participants can complete on their own time. Prices start at $49/participant/month. UserZoom is an all-in-one platform for recruiting candidates, writing tests, and analyzing test results. You get user videos, heatmaps, and even NPS scores. EyesDecide is an eye-tracking tool that creates heat maps based on the parts of the page users look at the most. This is done through special eye tracking hardware installed in users’ webcams. This gives you a much better idea of what users look at, what they ignore when interacting with your website. One of the biggest challenges in user testing is recruiting test subjects. Ethn.io solves this problem by letting you recruit your actual website users for user tests. As a designer, a great deal of what you do will depend on what’s popular and in-demand among your peers. A good source of inspiration is invaluable in brainstorming ideas and spotting trends. 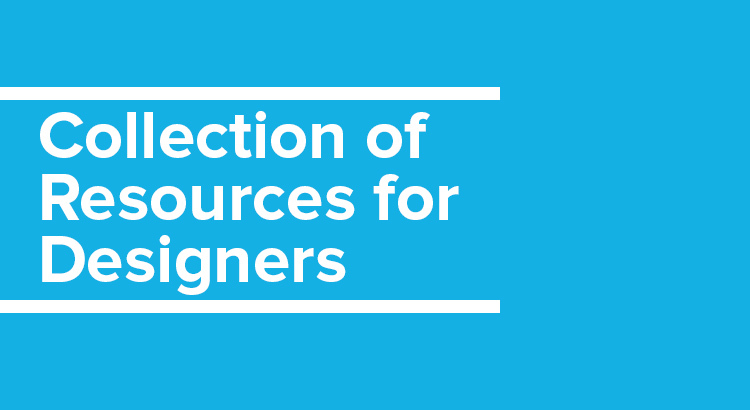 These design resources will help you find inspiration for your next project. Since this is a long list, I’ve further categorized each website on its focus topic. One of the largest website showcases online. 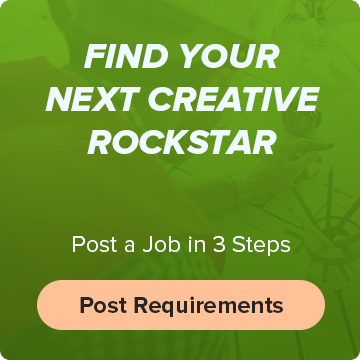 Features the best websites from a range of categories, along with featured agencies and open jobs. A curated showcase of web and interaction design. A heavily curated gallery of well-designed websites. Includes plenty of sorting options. Another heavily curated gallery of websites. Users have to pay a fee to be considered for selection by CSSNectar, after which it must pass an editorial review before being voted on by users. As one of the largest portfolio sites online, Behance also serves as a great source of inspiration for new designs. A gallery featuring only one page websites. A collection of product and product marketing pages. Great for spotting UX patterns as well. Typewolf showcases fonts and font combinations used by real sites. Great for finding font pairings and little-used fonts. A large gallery of websites that use typography effectively. You can also sort results by font to find font pairings. A gallery of designs – graphic and web – to showcase new fonts and typographic choices. A small gallery of fonts in use in real products and placements. A large gallery of mobile app UX patterns and user journeys. Great for studying how top apps like Uber and Udacity guide users. Capptivate.co was a video gallery of screen transitions and UX patterns for mobile apps. Although the website and associated apps shut down, you can still access the library through the GitHub repository. A massive gallery of UI components, web pages, and apps. Need inspiration for designing the ‘empty’ stage of your app? This website will help. UserOnboard.com conducts in-depth teardowns of user onboarding processes for top websites such as DropBox, WordPress, etc. A large collection of small UX details in popular apps and websites that help create a more delightful experience. Example: selecting a single day on Google Calendar shows “dinner” as an entry suggestion. Selecting a whole week shows “vacation” as the suggestion. A massive library of UI patterns with the aim of persuading users to take action or engage with your website. Includes over 16,000 screenshots of individual UI patterns. In-depth articles on UI/UX issues from a leading authority in user-experience. A curated collection of restaurant menus by graphic design agency, UnderConsideration. An extensive gallery of “real world” design – flyers, posters, architecture, and even tattoos. Has the odd infographic and website but focuses mostly on physical design. A regularly updated web magazine with interviews, examples, and galleries of inspirational design work. A gallery of print and identity design projects. Boooooooom (with 8 o’s) features photography and illustrations from artists around the world. A typography and graphic design focused blog. Also includes plenty of inspirational branding projects. Web blog featuring an eclectic mix of photography, illustrations, and graphic design. Don’t miss the Daily Design Inspiration posts. A brand identity focused blog with lots of inspiration from real-world projects. A large gallery of illustrations from hand-picked designers. A long-running blog that features inspirational illustrations and interviews with leading print designers. An artist-run blog that curates illustrations – including her own. A well-curated selection of book cover art. Access to good communities is essential for your design career. This is often where you’ll learn more about the trade, find opportunities, and expand your network. DesignerHangout is an invite-only community of designers across a variety of design fields. Besides a popular Slack live chat, it also regularly hosts events – both online and offline. For the sheer quality of its content and membership, this is one community you should definitely be a part of. Although not entirely design-focused, Launch.chat has a wonderful community of entrepreneurs, developers, and of course, designers. Launch’s community members have gone on to create several high-profile startups, including 5 YCombinator startups. A closed community of designers that requires an extensive application and vetting process. Though it’s difficult to get in, the quality of the community is worth the effort. A global community of interaction designers with a focus on career development. Focused mostly on real-world events and meetups, though it also boasts an active forum. A UI/UX-focused community. It’s not the most active forum around but the discussions tend to be of high-quality. A vibrant and active Facebook group with over 140,000 members. Lots of discussions focused mostly on graphic design. Also has regular job/freelance postings. StackExchange’s two design-focused communities are well-respected with great members and moderators. Both communities host web design-related questions. Head over to the UX group for UI/UX focused discussions, and to the graphic design group for visual, motion, and identity design. As the name suggests, UXD is a UX-design community hosted on Slack. Besides design discussions, it also has a number of open jobs and freelancing opportunities. This content-focused community is great for finding the latest articles and videos on design. But the real value is the comments section which usually has even more insight than the articles alone. Join for the articles, stay for the comments. Like most things, Reddit is a great place for graphic design discussions as well. While there are a number of design-related subreddits, /r/Design and /r/Graphic_Design are two of the largest with over 600,000 combined members. That’s it for our list of design resources. Whether you’re a beginner starting a new design career, or an old pro looking to learn things anew, you’ll find plenty of resources to push your work forward. 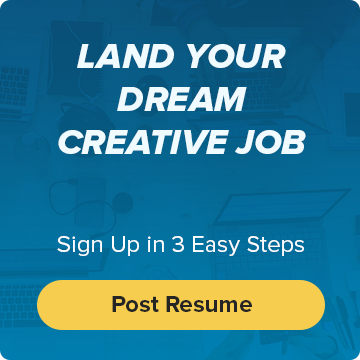 Don’t forget – you can create a profile on Workamajobs to help the world’s top creative agencies find you for exciting roles. Click here to get started!